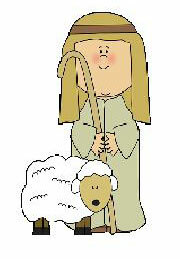 Good Shepherd Lutheran Preschool is a mission ministry of Lutheran Church of the Good Shepherd-LCMS. The church and school were founded in 1956. We are currently licensed to provide childcare services for 30 children through the Mississippi State Department of Health. We have a Four-Year-Old pre-Kindergarten class with 16 children. Our Three-Year-Old preschool class has a capacity of 14 children. Our teaching staff are well trained and experienced in taking care of young children. Our curriculum includes reading and writing lessons, math skills, science, art, music, and a daily Bible lesson. We attend Chapel in our church sanctuary every week. Please visit our Preschool Website or contact our Director, Kristi Collins, to schedule a tour of our facility.